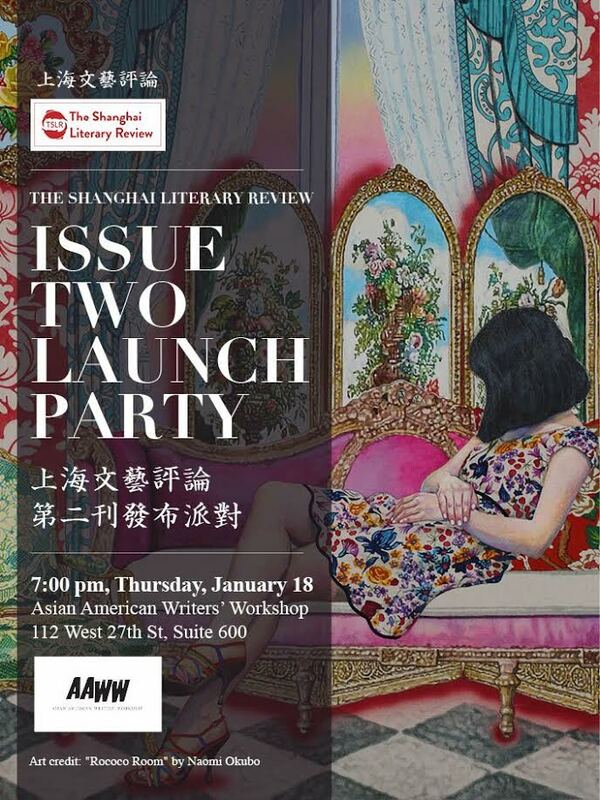 Come join us for the launch of The Shanghai Literary Review’s second issue! 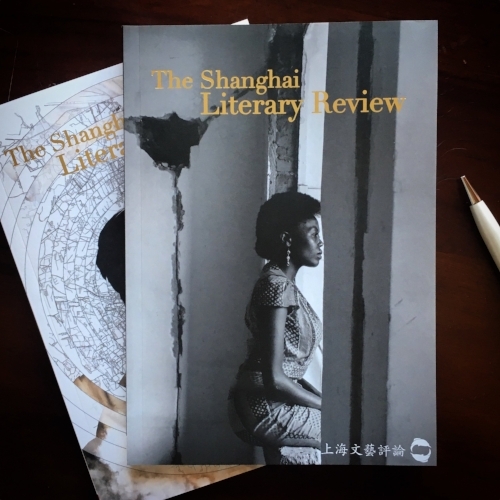 TSLR is an English language literature and arts magazine based in Shanghai and New York, Featuring original artwork, poetry, fiction, nonfiction, book review, and translation from and about Asia. Nancy Huang, Jianan Qian, Joy Huang Stoffers, Jeremy Tiang, and Julie Wenglinski will be sharing their work from the magazine as well as taking questions about writing, translation, and literary journal publication. TSLR editors and contributors will be on hand to take questions and meet writers and artists, and TSLR Issues One and Two will be on sale that evening, as well as contributors’ individual publications. 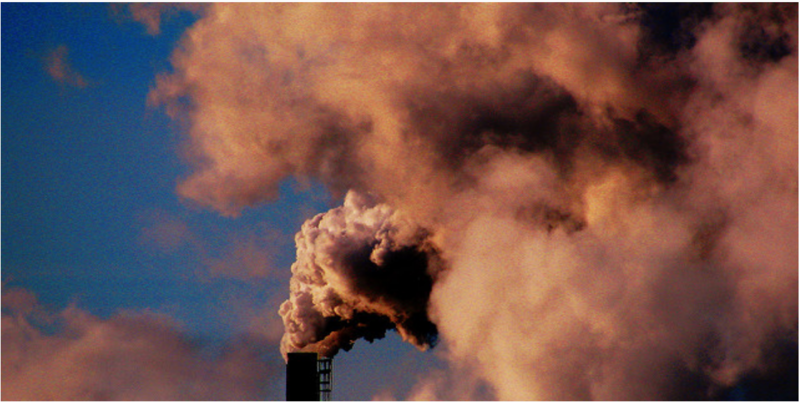 Nancy Huang grew up in America and China. She is a winner of the 2016 Write Blood Poetry Chapbook contest, a Andrew Julius Gutow Academy of American Poets Prize, a James F. Parker Award in Poetry, and was a winner of the Michigan Young Playwrights Festival. This past summer she was the youngest attendant of the Iowa Writer’s Workshop summer graduate session. Jianan Qian is the author of a short story collection, People Grow Old, But Won’t Die, and the Chinese translator of two British novels, The Pink Hotel by Anna Stothard and The Strange Fate of Kitty Easton by Elizabeth Speller. A native of Shanghai, Qian is currently a second-year fiction student in the Iowa Writers’ Workshop. Her critical essay on translation appeared in The Millions. Joy Huang Stoffers hails from East Brunswick, NJ. She holds a B.A. in English from Rutgers university and an MA in Creative Writing from Newcastle University, United Kingdom. Her debut novel, Whasian (Harken Media 2015), is available now. Jeremy Tiang is the translator of more than ten books from Chinese. 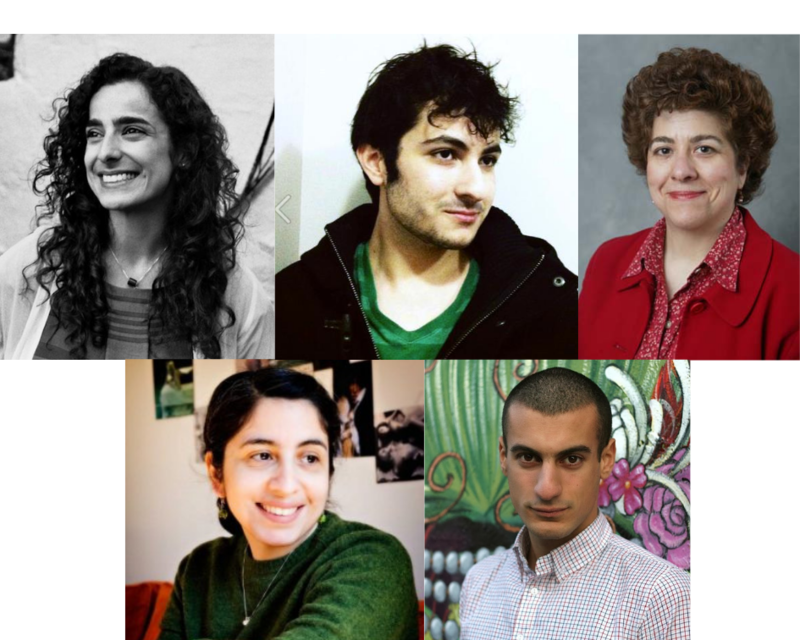 He is the recipient of a PEN/Heim Grant, an NEA Literary Translation Fellowship, and a Henry Luce Foundation Fellowship. Tiang is the author of It Never Rains on National Day (Singapore Literature Prize finalist) and State of Emergency. He is the Asia Literary Editor at the New York-based Asian American Writers’ Workshop. Julie Wenglinski moved from St. Louis to Titusville, Florida in 1964 because her father worked for the space program. She paid her debt to society by working 30 years in IT and now resides in Richmond, VA. She has been published in Masque & Spectacle, Nonbinary review, Inflectionist Review and Parentheses.